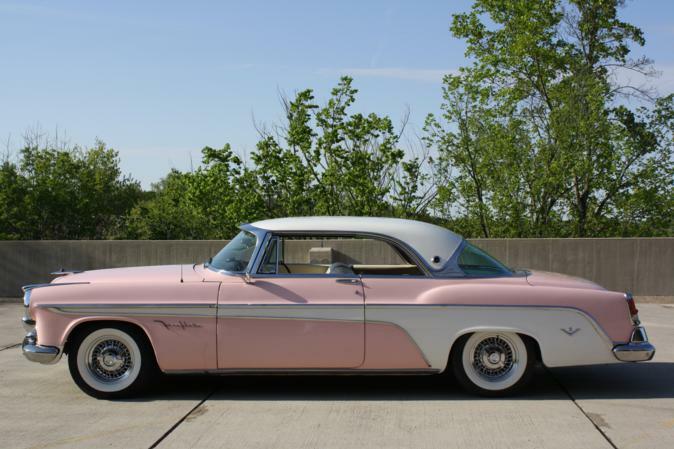 This might be the best running and driving 1955 DeSoto on the planet. 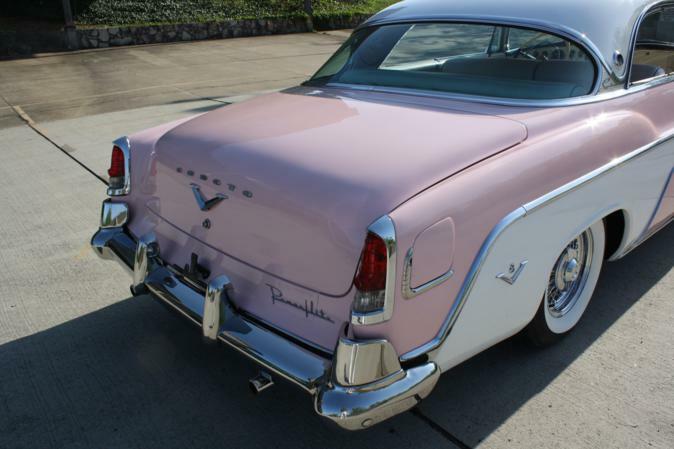 It is painted in the correct Shell Pink and Surf White which was a very rare option in 1955 and only offered very near the end of the production run. 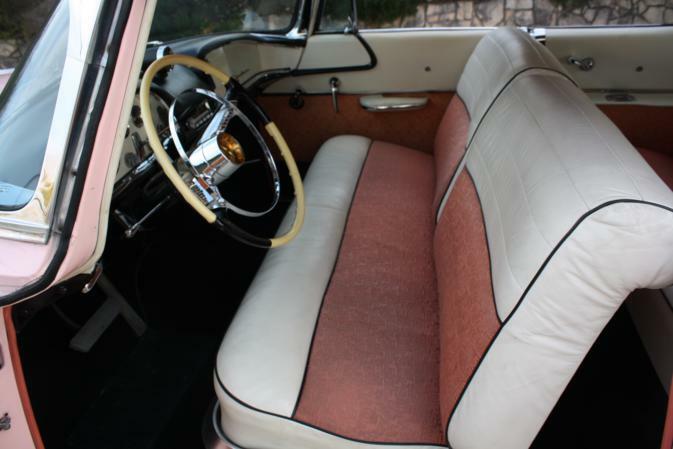 The Pink and White interior is leather and cloth. 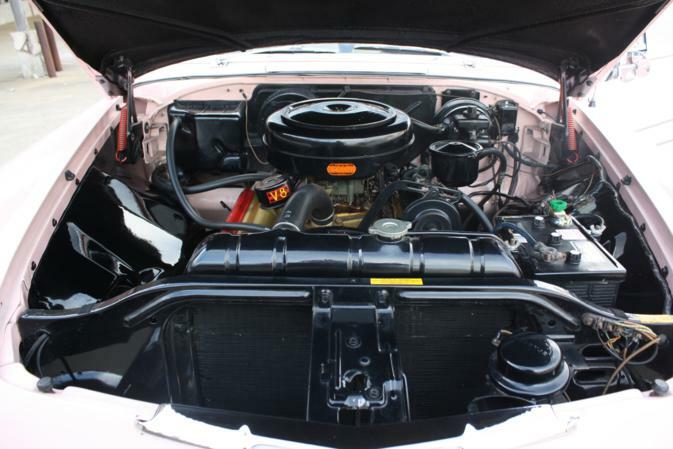 It has the 291ci Hemi engine that was painted in the latter available Adventurer Gold, instead of the factory Silver. The automatic transmission is the Powerflite 2-speed automatic. 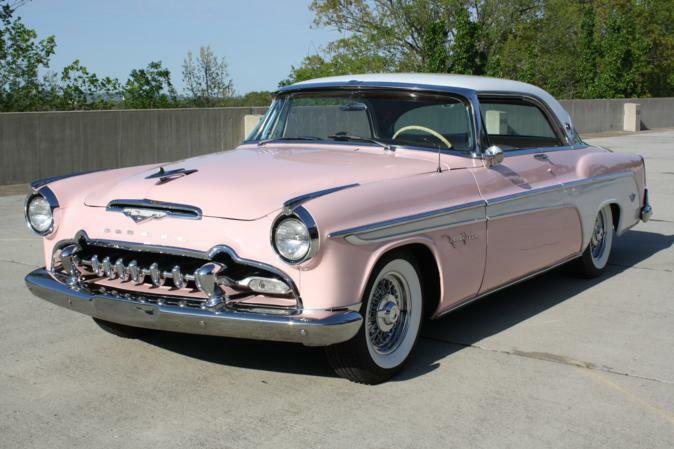 This DeSoto was found in 1986 at a Chevrolet dealer in Cincinnati, Ohio by the son of the previous owner. It received a full and complete restoration that was completed in 1993, It was a very solid body with no rust or damage when the restoration began. The mileage is 84,562 which is the actual mileage. 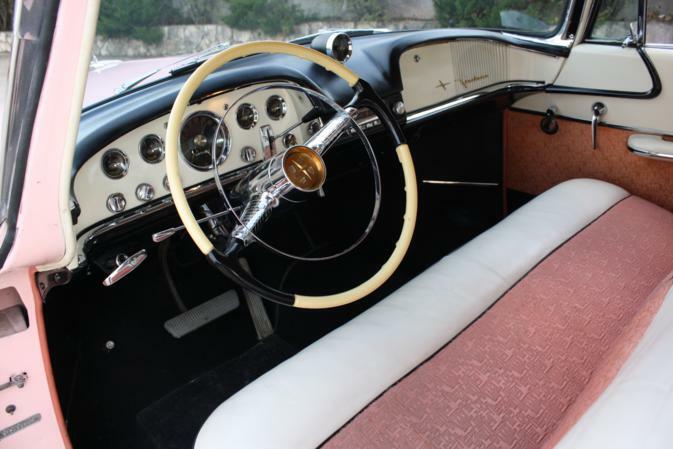 These DeSoto�s are becoming more and more valuable every day and this would be an excellent addition to any collection.